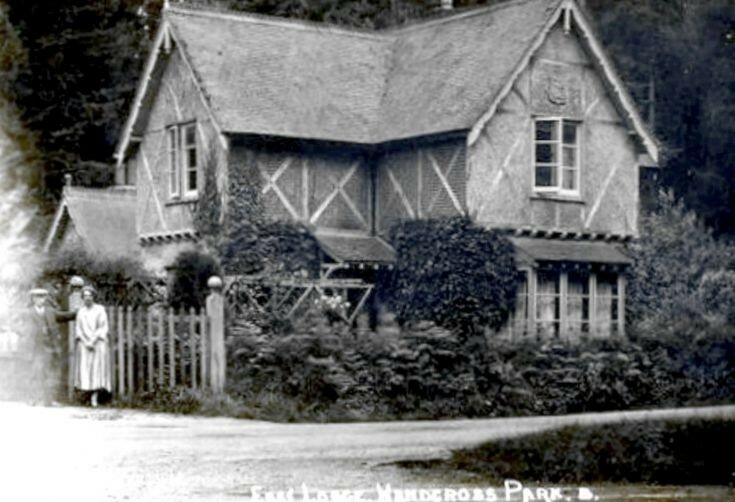 The photograph shows the East Lodge of Handcross Park about a half mile along Balcombe Lane from Gravelpit Corner. There are no notes as to the identities of the couple standing outside. The unusual crossed timbers on the exterior still remain on the gable ends, but other crosses have since been covered by the tradional clay tiles. The Large Version shows a close up of the couple, but the quality is poor!